Homeopathy | GreenHouse Health - Homeopathy, Integrative Medicine and so much more! Homeopathy is a scientific, reliable and natural system of medicinal therapy, which has been in existence for 200 years. It is a curative system of therapy that restores health, by stimulating the body’s own mechanisms of defense and repair. In Homeopathy, the focus is on the whole person using therapeutic methods that are safe, subtle and sympathetic to the body’s needs. Homeopathy developed from scientific investigations carried out by a German physician, Dr Samuel Hahnemann, in the late eighteenth century. He was so distressed by the toxic side effects of medications used in his time, that he explored ways of restoring the sick individual to good health in a gentle, thorough and effective manner. He experimented on himself and his students, and found that Quinine produced a fever and illness in a healthy person similar to that found in malaria. This is called a Proving. When a diluted dose of Quinine was given to a patient suffering from malaria, it effected a rapid cure. This he called the Law of Similars. 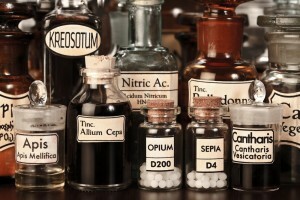 The statement “like cures like” was used by Hahnemann to describe the basic principle of homeopathic treatment. It means that any substance will produce certain reactions or symptoms if given to a healthy individual for a long enough period. The corollary to this was that these collective symptoms, if found in a sick person, can be removed or cured by the diluted medicinal substance that produced them in the healthy individual. 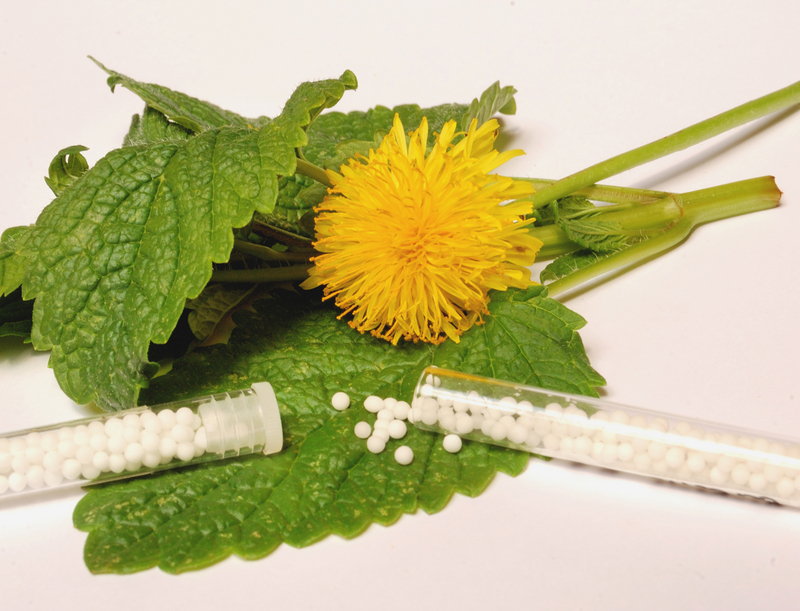 The homeopathic medicine, which is matched with the patient’s symptoms, is called a simillimum. The homeopathic approach to diagnosis and therapy is that the whole body must be considered as a single organism. Homeopathy sees symptoms as the body’s reaction against illness, as it attempts to overcome the illness and seeks to stimulate the body’s own Vital Force, rather than suppress the reaction. This is in stark contrast to the conventional or Western approach, which uses drugs to counter the disease by acting in an opposite manner [ = Allopathic Medicine] by suppressing the symptoms. Modern drugs can be lifesaving in acute situations, as can advances in surgery, but they do not provide the ideal treatment option for chronic diseases. Many people suffer with chronic conditions such as allergies, asthma, migraines, eczema etc. These are at best controlled or suppressed with drugs, with the consequent return of all symptoms when the drugs are stopped. Others suffer for years in a state of dis-ease with little relief [see Integrative Medicine]. Homeopathy can offer real hope of relief and lasting cures in very many cases. Many people are becoming increasingly concerned with the difficulty in maintaining optimum health in the face of the deteriorating environment [air and food pollution, negative stresses, cell-phone and other radiation]. Homeopathy can provide an entirely natural way of returning the body to good health, without merely suppressing symptoms. Many drugs have unpleasant and toxic side effects, whereas homeopathic medicines are completely safe. Homeopathy can also work together with Allopathy by relieving the unpleasant side effects of chemotherapy, for example. Homeopathic medicines are mainly of plant, mineral or animal origin, and assist the patient in regaining health by stimulating the body’s natural mechanism of recovery. The selected homeopathic medicine should be given in a form that is not harmful to the patient. This is possible because of a second law, The Law of the Minimum Dose: the healing power of a substance is in direct ratio to its degree of serial dilution, when each step of dilution is accompanied by a period of agitation (succussion, grinding or shaking). By this process the therapeutic information of the remedy is imprinted upon the solvent and is progressively amplified, resulting in increased potency. This is a phenomenon of quantum physics. It is the quantum form of the remedy that renders it capable of providing the curative stimulus. Disease affects the entire person - body, mind and spirit. The homeopathic medicine is therefore selected on holistic principles in order to bring about a cure. The homeopath regards each patient as unique and individual. The homeopathic medicine is selected especially based upon those aspects that make the patient and his/her complaints unique – symptoms, life experience, personality, values, beliefs, habits, emotions, etc.